Opening the large, heavy wooden door to the cellar always holds something deeply comforting for me. I will be engulfed in this wonderfully complex scent of something fruity blended with a whiff of mould. There is the aroma of wine along with wood and then something I can only describe as cold stones or rocks. I love the quiet, the vast space and simple order. A neat row of large barrels down the middle facing the smaller ones, stacked along the walls on either side. I switch on the lights and the group of people behind me let out a collective sigh of appreciation. 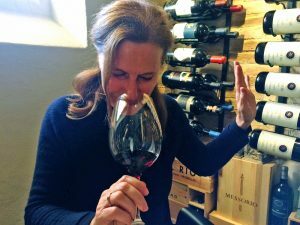 As we walk down the left aisle and I explain the importance of long aging for our Brunello. I love this job and turn around to the group answering some question when it hits me. For a moment I am no longer with my group, but far away. I know that scents can spontaneously trigger memories, and here I am, at work, in the middle of a wine tour when, out of nowhere, a forgotten childhood flashback hits me. I have stopped my dialogue with the guests, smiling. They look at me curiously as I speak again. You know, something really strange just happened, which I would like to share with you. Intrigued, they nod and I continue. People always ask me how I got into wine but I never have found a fitting answer. But just now, surprisingly, a memory from childhood came back to me, activated by the aromas in this cellar. Some of my group look around and seem to inhale more deeply, taking in the scent. As you might have gathered I am not Italian, but German, and my dad loved Riesling. Traditionally Riesling is also aged in large barrels, some of them half the size of these guys here.“ I say pointing to the 4.000 litre barrels. One day my father brought home a big old barrel to put in the garden as a playhouse for us kids. They had cut out a big opening as door and put a wooden plank across the middle. 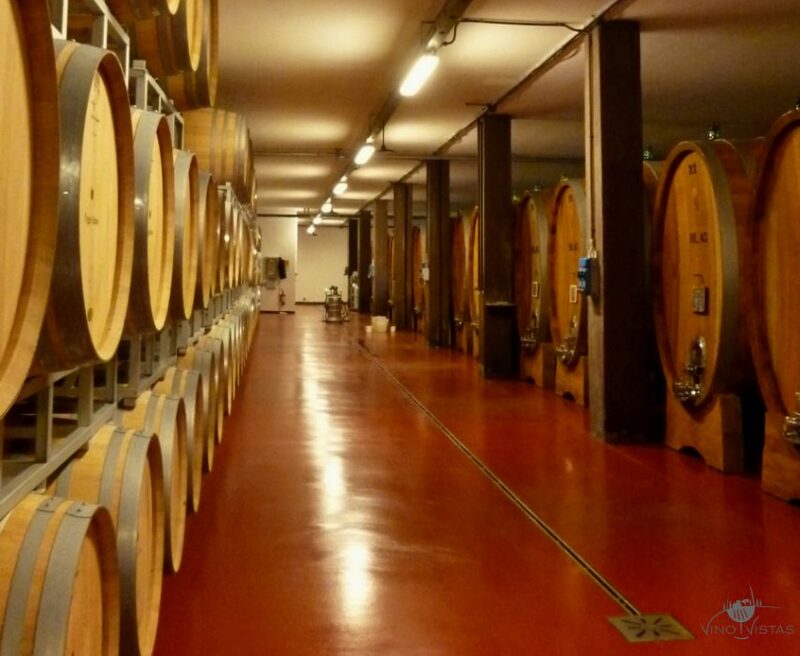 We spend many afternoons playing in there breathing in the aromas of wood and wine. I guess now I know why I always feel so utterly at home and happy in a wine cellar.